From Buddhist shrines to the largest Muslim mosque in Southeast Asia, five Wake Forest students were completely immersed in the diverse religious and social practices that shape Indonesian culture. Professor of religion Pieternella van Doorn-Harder’s summer abroad course called “Indonesian Religions in a Globalizing World” gave students the opportunity to observe the central beliefs and practices of the people of Indonesia with a focus on Islam. 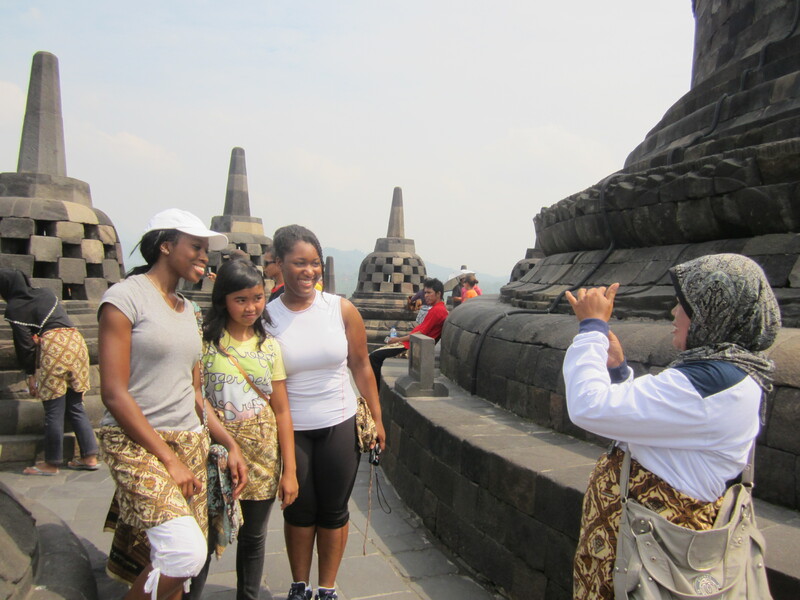 Students learned about the country’s history of colonial control, political repression, and globalization, while observing religious expression during trips to Buddhist, Hindu, Muslim and Christian shrines and religious landmarks. Students attended Muslim prayers, visited mystics, and spent time in a Qur’an school. They also explored health and well-being in Indonesia by visiting different hospitals, healers, and herbal medicine markets.